Have you got a taste for revving engines and a bit of speed? 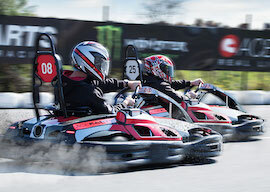 The Drive Me Crazy package sees you and the crew indulge your love of motorsport with a pair of awesome activities, before winding the night up like a Bucks party should do. First, you are headed to the go-kart track, to do battle for the flag, before enjoying a tour of the neighbourhood on your own quad bike. Group dinners, a bar tab, and some debauchery are also on the plate, so punch that throttle – and let’s get to it! 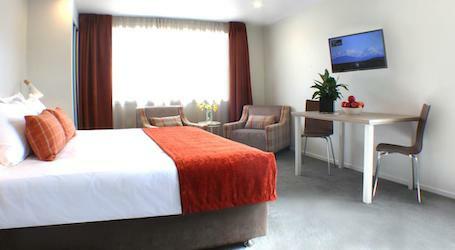 You will be staying at Taupo’s finest party hostel, with amazing views, an onsite bar, and free wifi on the docket. So when you are ready to finally turn in after an amazing day, we know that you will wake up fresh as a daisy. Probably! 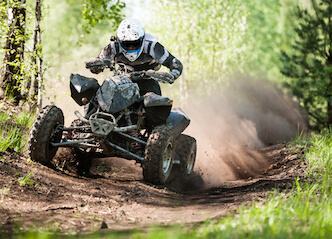 Twist that throttle – you are going quad biking! These powerful machines are capable of tackling almost any kind of terrain, and you are about to take the controls for a one-hour off-road adventure! 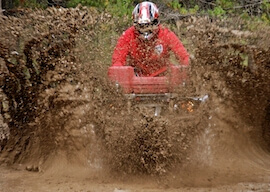 It could get muddy in there – and it probably should – so dress accordingly! This race has it all! You are about to get geared up and take it to the track, to determine which of you possesses the skill set to take that checkered flag! 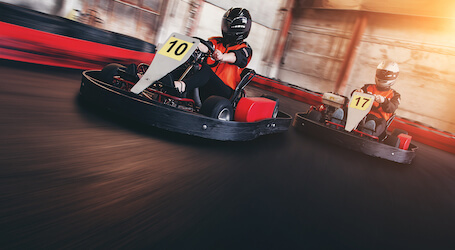 This French-made 390cc kart packs some serious punch, so brake hard and hug that apex if you want to win the flag – and take home the glory. 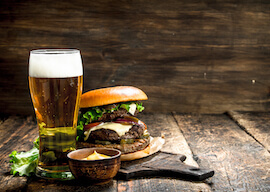 With a day like that, we are certain that you might be in need of a pit stop to fuel back up. 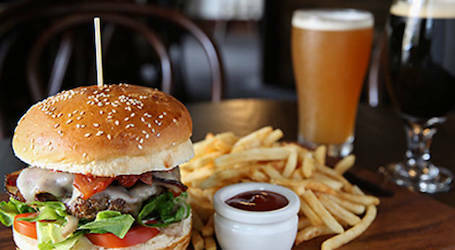 That’s why we have scheduled in a tasty pub meal, for the whole group to enjoy together, where you will line those stomachs on some delicious fare, washed down with a full bar. Not a bad way to get the evening started, we reckon. Now, it is time for business. Business time, as it were. 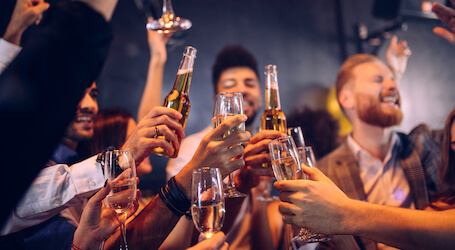 You and the group are about to tackle a $500 bar tab, where you will toast to the man of the hour and laugh at the expense of the slowest man on the track for hours on end! Cheers, to your health! Bar tab has been emptied? Well, there is only one more stop on this night – and it is a Bucks party necessity. You are headed to the very finest gentlemen’s club in Taupo, where VIP entry, delicious drinks, and some striking views await you. Watch your Buck sweat for the end of his bachelorhood, with Wicked Bucks and Taupo.